Not unexpectedly, an overnight media frenzy erupted over Governor Palin’s decision to leave FOX News. Some outlets stated that it was “unclear” whether Governor Palin or FOX News decided not to renew her contract. Although most in the mainstream media and the leftist bloggers have attempted to put a negative spin on the story, the Wall Street Journal, which is owned by the same parent company as FOX News, confirmed what Real Clear Politics and Breitbart.com reported initially. Sarah Palin, who rode the national celebrity from her unsuccessful 2008 vice presidential run into a media career as a paid Fox News contributor, won’t be renewing her contract with the cable news network, said a person familiar with the matter. “It is my understanding that she was offered a renewal contract and she declined it,” the person said. Fox News didn’t respond to requests for comment. The channel is a unit of News Corp., which also owns The Wall Street Journal. The news was earlier reported by Real Clear Politics. A person familiar with discussions between Fox and Palin described the parting as amicable, saying that Fox and Palin had discussed renewing her contract but she decided to do other things. The person spoke on condition of anonymity because they were not authorized to speak on the record. According to RealClearPolitics, FOX News offered to renew Palin’s contract as a contributor, and the former Alaska governor and vice presidential nominee declined. She made her announcement that she was not going run for president, though, on Mark Levin’s show. She also made an impromptu appearance on CNN during the network’s Republican primary coverage. Like she did at the Iowa State Fair in 2011, Palin impressed reporters with her impromptu interviews. However, because of her FOX News contract, Palin could not go on other cable and mainstream media networks to discuss politics, policy, and cultural issues. Now, she will able to talk on other networks besides FOX News. 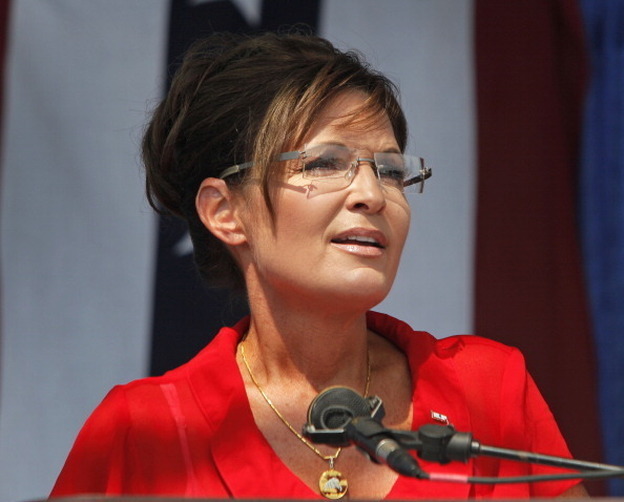 Palin–since she now does not have a television contract–will also be free run for the GOP presidential nomination in 2016 if she so chooses. Could this expansion of her national message for common-sense conservatism be in part an answer to the Tea Party’s plea for her to get more involved? As Tony Lee has noted, she will now be free to take her message to a wider audience now. That outcome would be reminiscent of the broadening of her message after she resigned from the governorship to spare her family and Alaska the expenses inflicted by those who sought to destroy her with frivolous complaints. FOX News allowed her to get her message out but with restrictions. Now she can participate in the national discourse more freely and prepare for a run for the Presidency in 2016 if she chooses to do so. Sarah Palin for President 2016!